GM loves to talk about its electric future — Cadillac was just announced as the brand’s official electric division — but trucks haven’t been mentioned as a part of this electric revolution, so far. However, that may be changing. As the Sierra goes, so does the Chevrolet Silverado, and vice versa. But it would make sense for GM to introduce electrification to GMC first, followed by the Silverado. GMC already gets premium features such as the Multi-Pro tailgate are GMC exclusives, after all. 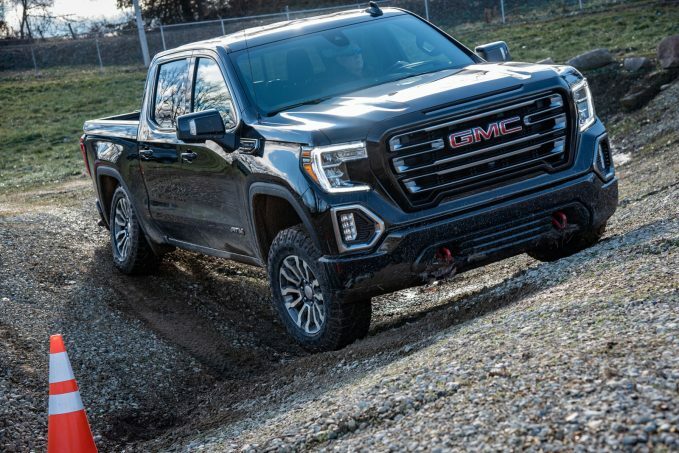 It’s also marketed as more high-end and premium, which could help make the cost of an electrified Sierra easier to recoup for GM, and easier to stomach for customers. This electric truck consideration could be in response to Ford’s aggressive declaration of an electric F-150 the other day, as well as the electric concept trucks from Rivian and Bollinger. The concepts in particular have generated much excitement for their ridiculous claimed performance and shocking utility. If GMC is only “considering” it, then we imagine the brand isn’t too far along the development path, if it’s even started. Regardless, it’s the most affirmative stance we’ve seen GM take on total electrification of a full-size pickup truck yet.